Instructions Information: 1. High standards from first grade materials specific to its application for American European MID-East and African market. 2. We can produce different models of car filter, auto filter, car air filter, auto air filter, oil filter, Fuel filter, cabin filter cabin air filter and auto part, including PP air filters, PU air filters, PT air filters. 3. All filters are compatible with many brands, such as GM, ISUZU, Toyota, Nissan, Honda, HYUNDAI, HITACHI, SCANIA, MAZDA, CATERPILLAR, Renault, Chrysler, Iveco, Benz, Audi, DAEWOO, BMW, PEUGEOT, Volvo, RENULT, HINO, ISUZU, CUMMINS, KOMATSU and MITSUBISHI. 4. Professional quality Auto Air Filter for American European MID-East and African market. 5. Adopt high performance 100% wood pulp filter paper 100% Soft thick liquid paper and 100% non-woven. 6. Having scientific structure and fine producing technics. 7. Having long using life. 8. Any other iterms of this brand are also available APPLICABLE FOR: 1. Great filtering power, durability, single or double effected. Manufacturer, favorable and honest price, quality and service come first. 2. Keep dust and particle out of combustor, change the air in cumbustor, ensure sufficient burning. 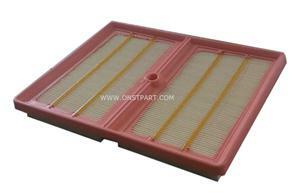 Air filter reduce engine parts dissipation, avoid dark smoke and make engine aprts work normally. Company Information: we are professional filters manufacturer in China for over 10 years. And service experience in Germany and Europe for 8 years, so We have much experience to supply suitable quality in the best price to different world market. Welcome to contact us for more details! We are sure that we could give you the satisfied service and high quality. Thanks very much in advance! Sincerely hope to start very good and long time business relationship with you!